St. Mary’s, 3900 Roland Ave.
Students will participate in acting activities that will cover a wide variety of skill development and will also rehearse a one hour version of the play that they will perform for parents on the last day of camp, beginning at 5pm. Camp Hours 8 a.m.-4 p.m.
Summer at Bryn Mawr offers a huge range of camps for every interest. Whether your child loves sports, arts & crafts, science, drama, dance (or all of the above! ), we have a camp for that. Enjoy long-running favorites like Creative Workshop and All-American Doll and Pet Camps, or find a new interest in cooking, chess, musical theater, or Little Medical School! We also offer lacrosse, dance, basketball, field hockey or combo camps, plus a partnership with Girls Who Code. An extended-day program and lunch are included at no additional charge. 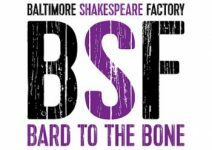 At Baltimore Center Stage young people build creative confidence and self-awareness through intensive explorations of theater. Classes include acting, dance, circus arts, and theater production. Students get the opportunity to play, express themselves, and get artistic instruction from a team of professional teaching artists. Each session culminates in a staged presentation for family and friends. Character-building and discovery through challenge. Sessions February through November. Educational organization that helps kids discover strength of character, the ability to lead and a desire to serve. The Baltimore Children’s Business Fair’s Launch Business Camp is an exciting summer camp program for youth to learn about business in a fun and engaging setting. In an action-packed 3 days, students will cover idea creation, pitching, budgeting, branding, and selling their goods or services! Notable entrepreneurs will join us for question and answer sessions and the students will have Lunch-n-Learns. We won’t forget the fun! Each activity is geared to the appropriate age group and students will have scheduled breaks with planned games and activities for them to let loose and have even more fun!! A variety of programs for campers of all abilities. Special needs programs available. Children are fully immersed in their choice of Chinese, French, Russian, Spanish or Arabic throughout the camp day. Designed to help students discover their strengths, exercise their creativity and overcome academic difficulties using an arts-based curriculum. Program runs July 2, 2018-July 28, 2018. Yoga, nature walks, arts, crafts, music and more. Learn yoga poses, games, self -calming and mindfulness techniques. 2 sessions, $225 per camper each. Learn, build and play with LEGO® Bricks for an early introduction to engineering, architecture, physics, and other science and math topics. 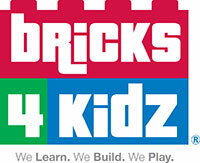 To help children foster problem solving and critical thinking skills using LEGO® Bricks. Inclusion Camp for youth with and without disabilities. Camp operates Monday thru Friday (no camp on 7/4), 10am to 3pm, for five weeks. (July 2nd to August 3rd). Camp has final performance show on evening of last day of camp. Camps are for youths with disabilities. In general, camp hours are 9am to 3pm with early drop-off at 8:30am. Hours may vary among some camps. Located in various areas of Baltimore County. body and nutritious eating habits contribute to a sound golf game. techniques, as well as full swing fundamentals and other full swing basics. Martial arts classes every day, field trips every day, swimming, skating, laser tag, and more. Classes, play clubs, team play. Tennis plus Soccer camp too. Weekday evenings. Weekends. All ability levels. Featuring 10-under Fast Start. Cardio. Grips Challenge. Loaner rackets & pedometers provided. Meets at Baltimore County area school courts. Balto. Co. Dept. of Parks/Therapeutic Rec. Discover colonial life skills and crafts, orienteering, astronomy and more. Explore Banneker’s Farmstead with hikes, outdoor activities and nature. We offer waterplay, nature themes, arts and crafts and fun(!) in a nurturing, creative environment. Our camp is led by CPR and first-aid trained teachers. Sports, art, ropes, nature, theater, travel, swim lessons. Hot lunches available. Certified teachers. Bus to Baltimore and Howard Counties. Certified teachers create a nurturing environment in well-equipped school setting. Phys. 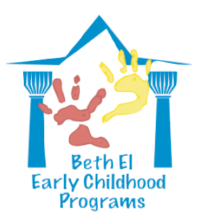 ed., water play, arts & crafts, singing, nature, Shabbat. Offers weekly themes and activities designed to excite creativity and learning. Activities include swim lessons, martial arts and weekly field trips. 5 day and 3 day a week options available. Offering 6 Theme Sessions: Farmstead, STEM, Flight to New Heights, Fantasy Film Making, Hidden Valley Olympics, and Mad-Scientists. Weekly specialty camps, ages 3-5. Yoga, soccer, science, music, more. Special programs for 2-year-olds. Sessions in June, July and August. 6-week dance program offering evening & weekend classes. Dance camps include crafts, choreography, t-shirt, performance. Classes, play clubs, team play. Weekday evenings and weekends. All ability levels. Featuring 10-under Fast Start. Family play. Cardio. Grips Challenge. Loaner rackets provided. Medically managed, condition specific, residential camps for children with chronic health conditions. Broadreach summer adventures offers international trips for middle school, high school and college students that focus on fun, real-world learning, measured achievement, leadership, environmental stewardship, global citizenship and teamwork. Our programs provide college credit, certifications, service learning, cultural immersion and more! Small, friendly nature camp. Two-week sessions for ages 11- 15, June – August. One-week session for ages 8-10, August.